Bala at Keerthana and Akshay's wedding ceremony in Chennai. 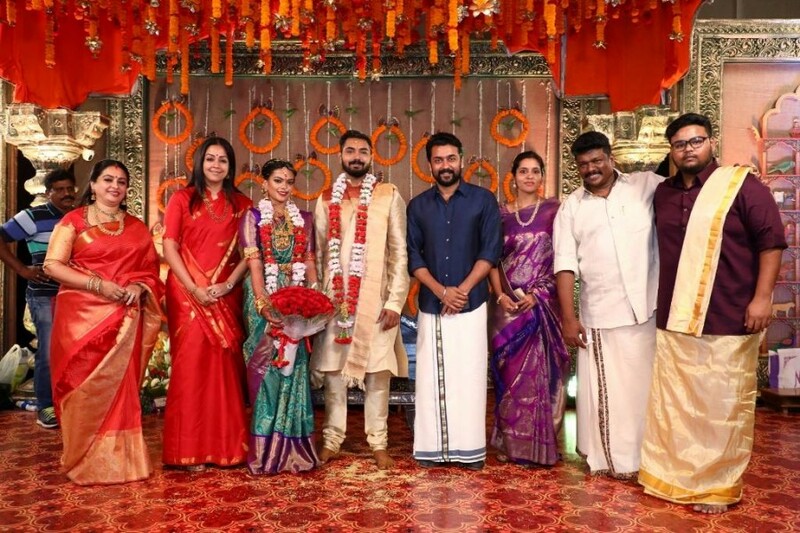 Jyothika and Suriya at Keerthana and Akshay's wedding ceremony in Chennai. Prabhu Deva at Keerthana and Akshay's wedding ceremony in Chennai. Vignesh Shivan at Keerthana and Akshay's wedding ceremony in Chennai. Vivek at Keerthana and Akshay's wedding ceremony in Chennai. Meena at Keerthana and Akshay's wedding ceremony in Chennai.